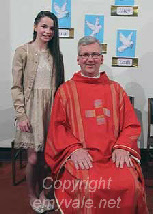 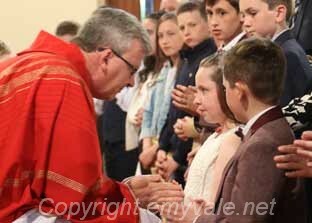 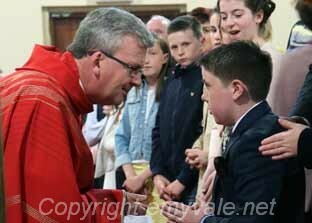 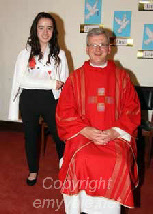 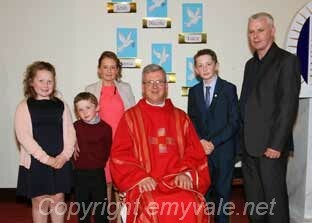 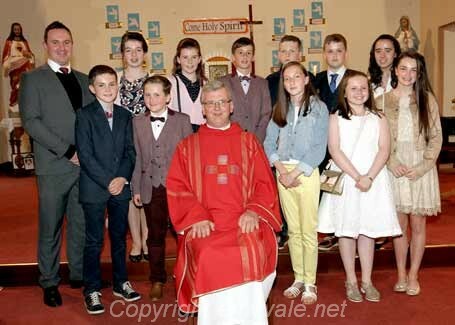 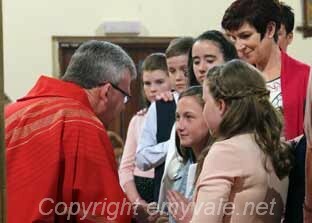 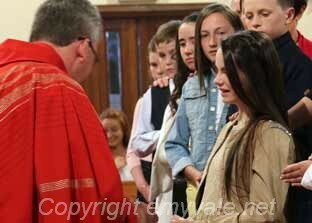 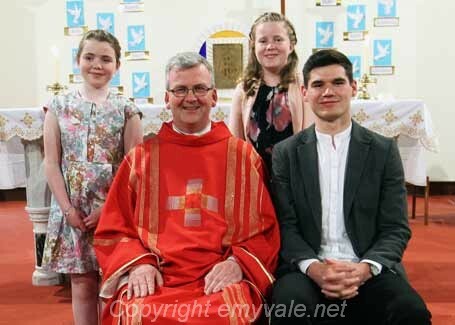 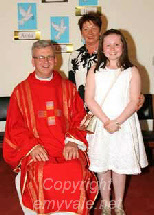 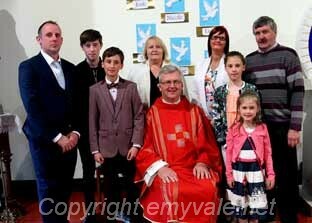 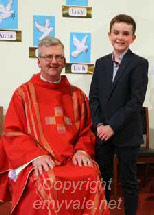 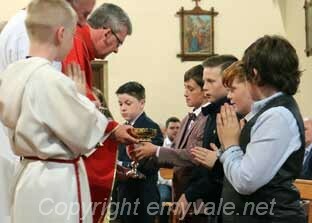 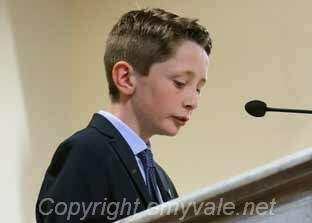 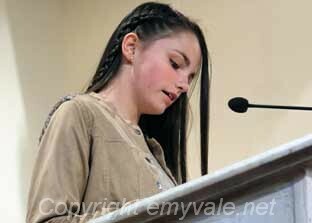 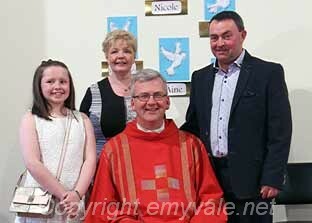 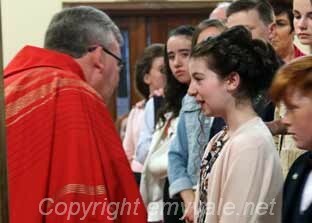 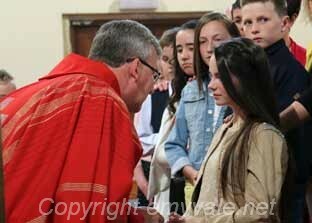 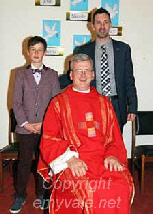 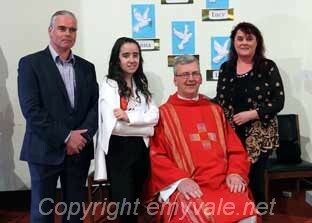 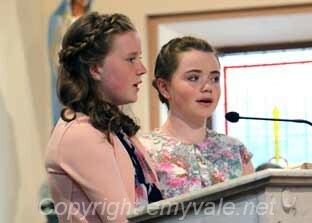 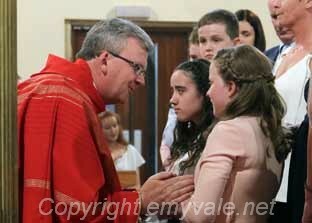 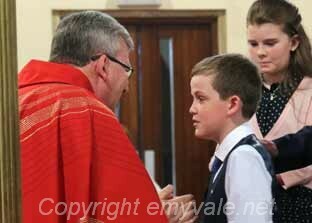 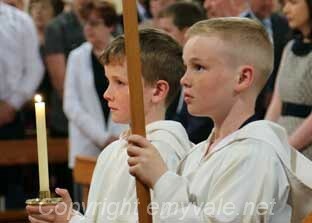 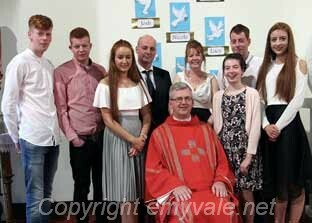 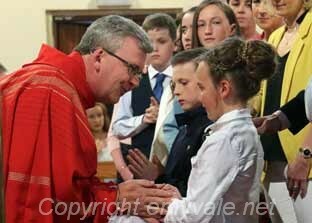 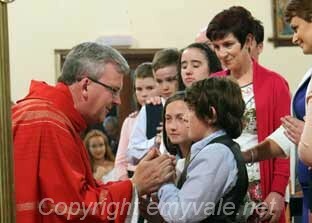 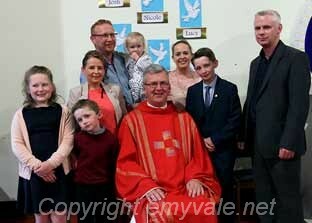 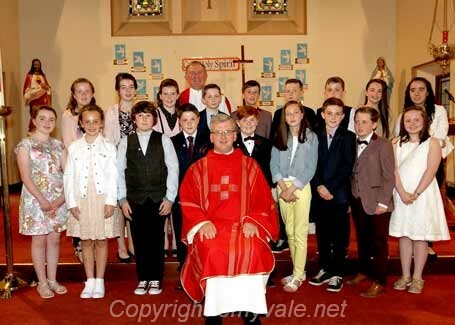 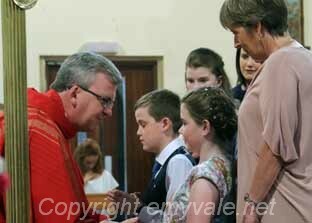 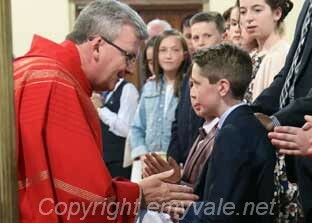 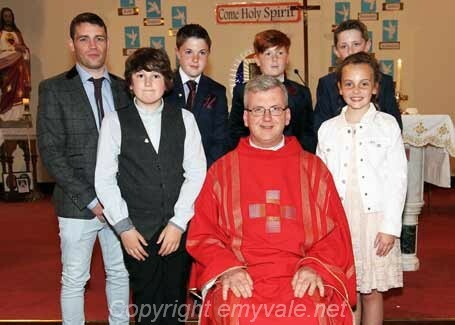 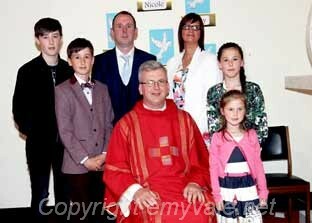 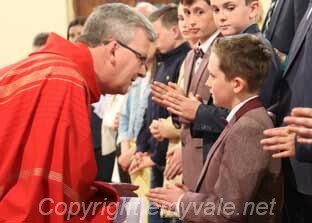 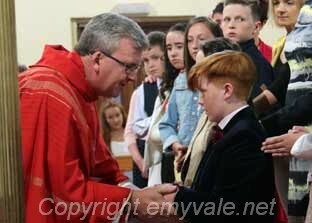 Truagh Confirmation was held on Friday, May 12th 2017 - yes I know that's a long time ago but things delayed it getting up on site but it is here now. 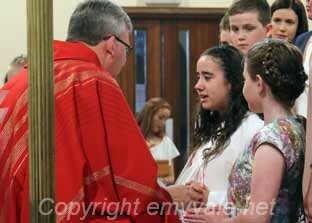 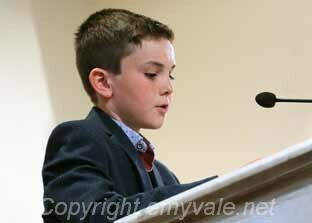 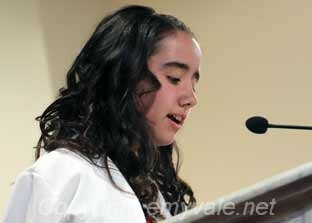 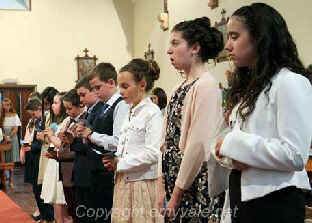 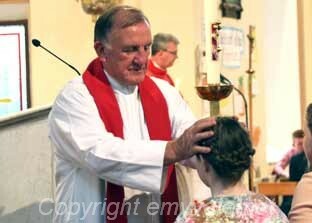 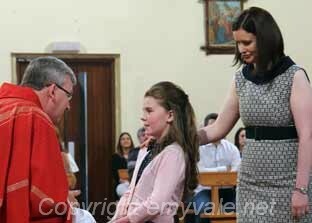 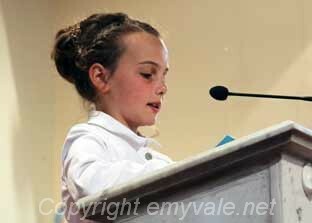 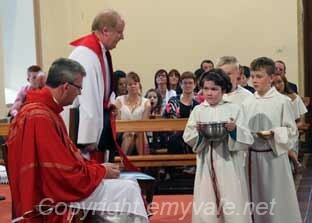 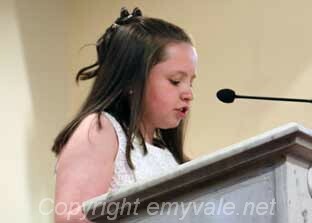 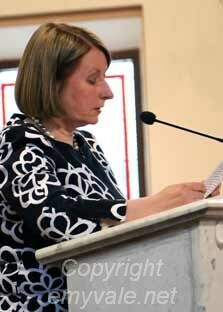 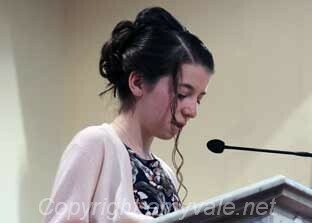 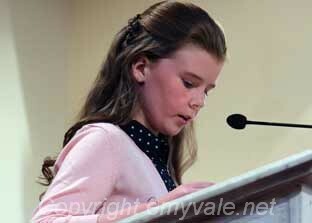 It was a lovely ceremony and the children for confirmation all had a part to play and did it extremely well. 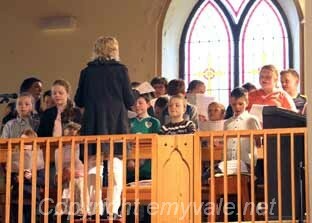 The choir added greatly to the solemnity of the occasion. 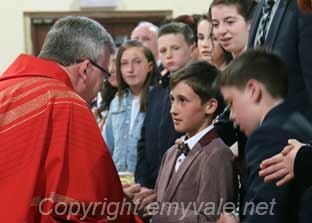 Normally the Bishop would confer the sacrament on the youth but with no bishop and a shortage of priests senior priests in the diocese were delegated to stand in the confer Confirmation. 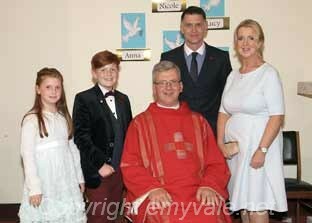 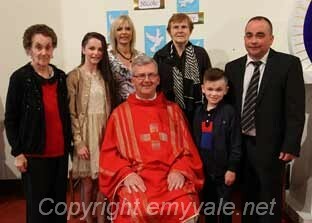 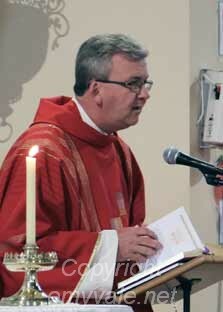 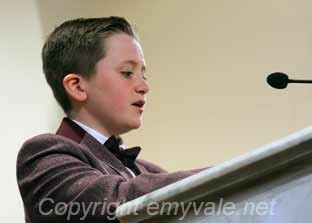 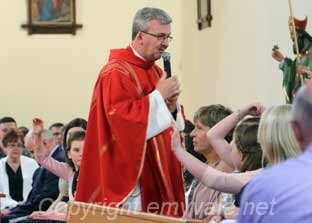 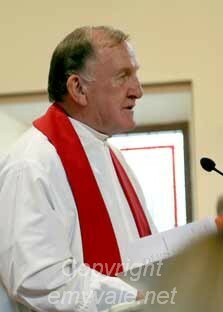 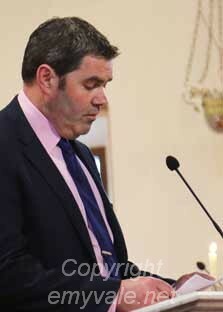 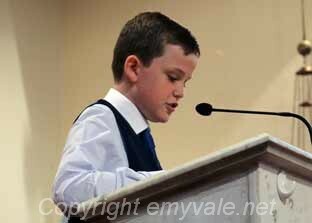 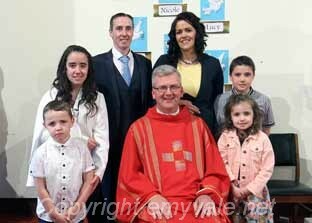 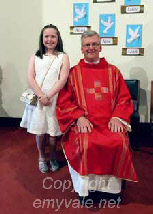 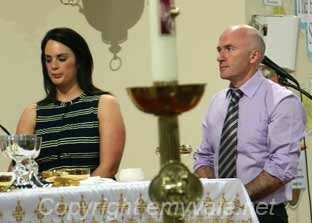 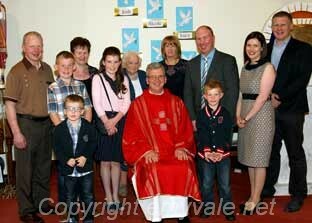 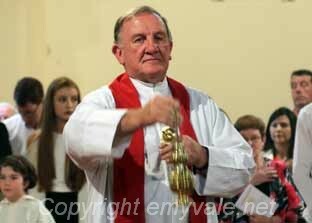 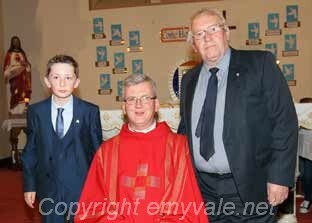 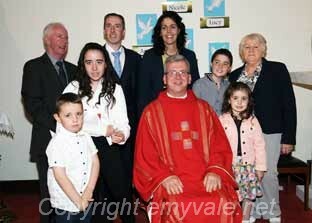 Canon Shane McCaughey carried out the function in Truagh assisted by Canon Macartan McQuaid and Fr. 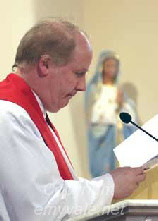 John Flanagan PP. 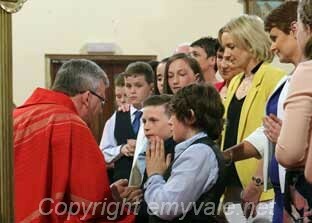 Congratulations to all the young men and ladies who received Confirmation.